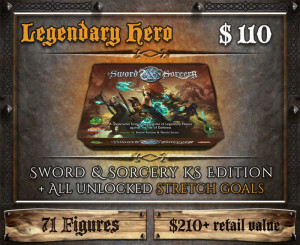 The Sword & Sorcery campaign on Kickstarter is coming to an end today, and with 40 stretch goals already unlocked, let’s take a quick look at the rewards backers will get in the “Legendary Hero” and in an the “Immortal Hero” pledge levels. 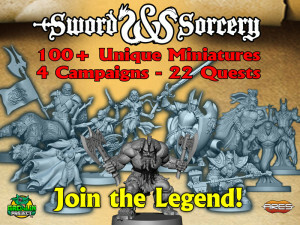 The retail version of Sword & Sorcery Core Set, with 7 quests (Act 1), dice, tokens, cards, and 28 different miniatures: 5 Heroes, the Wolf pet, enemies (“Gremlin”, “Raider”, “Orc Warrior”, “Orc Shaman”) and 2 Master Enemies (“Orc King”, and “Troll”). The game box is a larger, KS exclusive box with a different cover; the Heroes’ sheets will be the deluxe version, there will be a cardholder for the game cards (that will support protective sleeves), and a “S&S” cloth bag for the Crit tokens. 6 additional heroes: one exclusive, the Standard-bearer/Warlord “Tristan”, and 5 other Heroes: 1 dwarf Berserker/Slayer, 1 Blademaster/Bard, 1 Demon/Witch Huntress, 1 Barbarian/Dreadlord, and the Captain/Pirate Victoria Kromi; each new hero will include his own hero sheet, soul gem and 15 Item & Power cards. 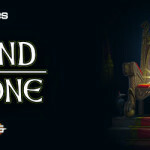 a complete "Act 2" campaign, Darkness Falls, with 7 new quests. 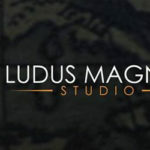 Act 2 includes new Power and Item cards to help Heroes against these new threats, and other 22 figures: Lycanthropy Curse Hero miniature, and miniatures for the enemies “Rising Skeleton”, “Death Knight”, “Werewolf”, and “Succubus”; plus the miniatures for the Master Enemies “Count Dalv” and “Undead Lord”. 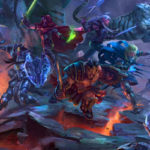 A Side Campaign - "Arcane Quest", to be played between Act 1 and Act 2, using 15 additional enemy miniatures: “Demonologist”, “Efreet”, and “NightWalker”; plus – if unlocked during the KS campaign – the “Hellspawn”. 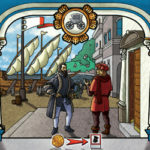 New cards: “Blessings”, “Bounties”, “Backgrounds” “Movie-inspired Treasures”, “Backer Ideas”, “GD Aliens”: more than 60 new cards that will help making each quest a new experience every time. 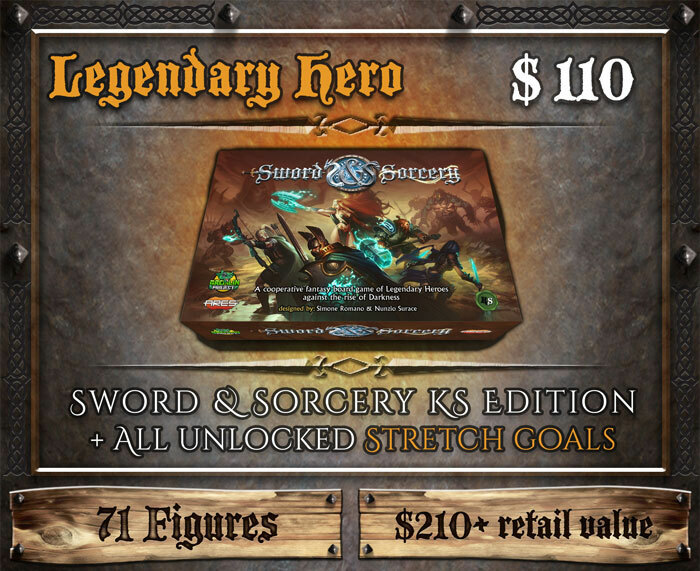 A view of the heroes of Sword & Sorcery project, included in the Immortal Hero pledge level. Immortal Hero rewards include all the content of the “Legendary Hero” rewards, plus the “Immortal Bundle”. 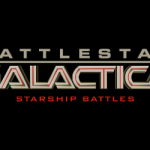 It is a grand total of 101 miniatures (or 102, if the "Hellspawn" is unlocked), each with a different pose, and 22 quests (Act 1, Act 2, side quest “Arcane Quest” campaign, side quest “Vastaryous Lair” campaign). A complete expansion, Vastaryous’s Lair, featuring the huge miniature of Vastaryous (a five-headed dragon), 5 enemy miniatures “Drakonian”; Epic Powers and Epic Items cards for the Heroes; cards for the Orc Tribe of Black Queen Island; a campaign composed 4 Epic side quests (to be played after the Act 2). In total, this expansion presents 6 more miniatures, one of which is really huge. Three new Heroes: the Druid/Shaman “Samyria”, the Necromancer/Summoner “Onamor”, and the Dragonheart/Dragonflame “Volkor”, plus three more miniatures (an "Efreet" and a "Nightwalker", Onamor's conjured creatures; and Samyria's companion bear "Bjorn"). 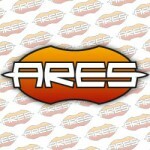 Each new Hero comes with his own hero sheet, soul gem, and 15 Item and Power cards. 4 Door miniatures, 4 Locked Door miniatures, and 4 Chest miniatures. A complete set of 60 custom metal coins. A second set of all heroes and pets miniatures, in light blue plastic (18 miniatures). 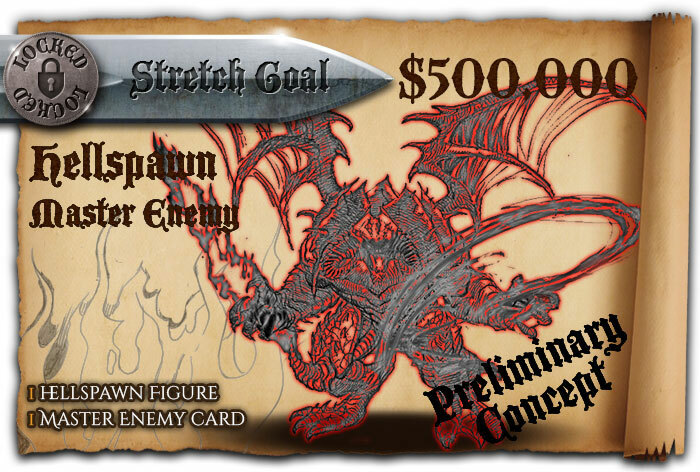 Hellspam Master Enemy, the final stretch goal of S&S campaign on Kickstarter. We hope this summary can help you to have a good idea of the value of each pledge level - an amazing number of stretch goals were unlocked thanks to our legendary backers in this campaign! At the moment of writing, we have still some hours to reach $500,000 of funding and unlock the last stretch goal. 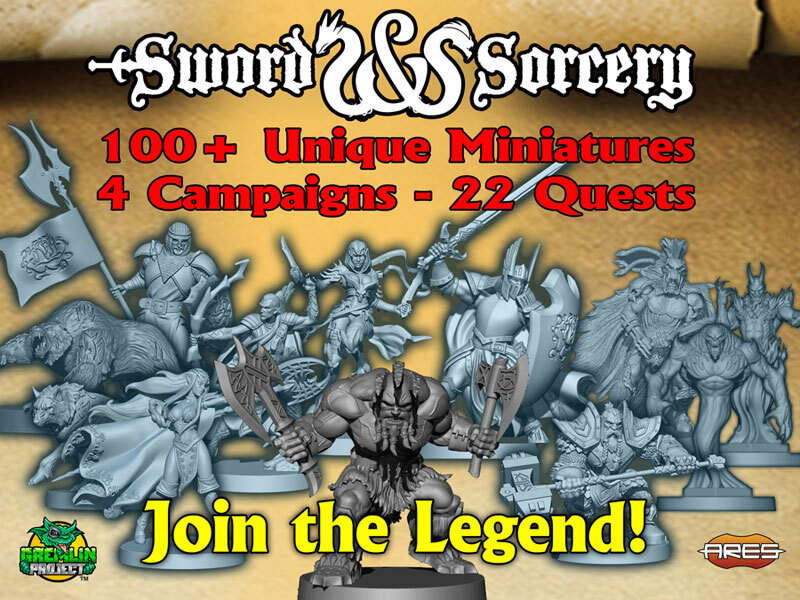 Don't miss the chance, check out the Sword and Sorcery Kickstarter campaign now, and spread the word. You are Legend!